Google Play for Education makes it easy for educators to find and distribute apps and videos that unlock student potential, and schools have told us that access to a wide selection of books is just as important. 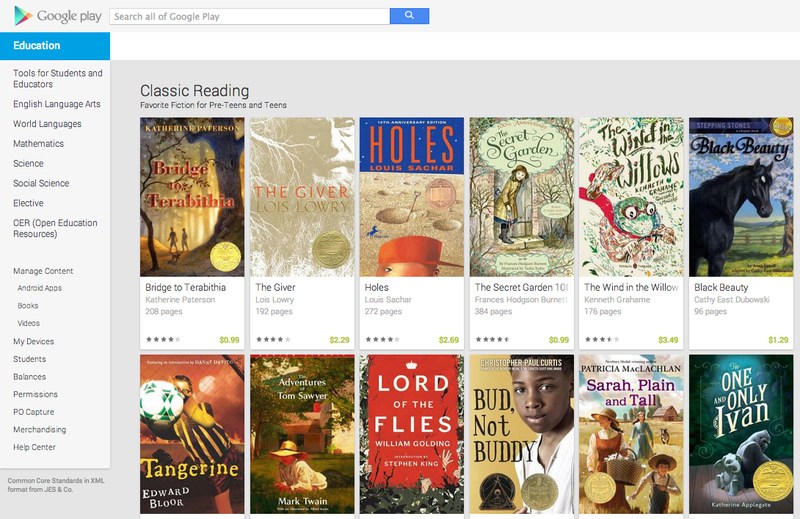 That’s why soon we’ll add thousands of K-12 books to Google Play for Education, from digital textbooks like “GO Math!” (Houghton Mifflin Harcourt) and “Journeys Common Core” (Houghton Mifflin Harcourt) to classic literature like “Bridge to Terabithia” (Harper Collins), "Lord of the Flies” (Penguin), and “Things Fall Apart” (Random House). Once a book is assigned, students can read it from their Android tablets, Chromebooks, or any other device through the Play Books reader. Affordable access periods of 60 days, 180 days, and 360 days help schools ensure that materials stay fresh (and classes stay interested) — it’s easy to change curriculums from year to year, or even customize reading materials for individual students. We're rolling out to a few schools today, and will make K-12 books fully available to all schools in the coming weeks. Technology is one tool to help teachers create innovative learning models. With devices that are affordable and manageable, the technology can get out of the way so that teachers can do what they do best — help students accomplish their goals. We’re hearing great success stories from schools using both tablets with Google Play for Education and Chromebooks. And analysts such as Futuresource report Chromebooks continue to grow, accounting for 1 in 4 devices shipped to U.S. K-12 schools according to preliminary data for the final quarter of 2013. New Chromebooks: Toshiba announced that their new Chromebook will be available for education customers. This 13-inch device has a battery that lasts up to 9 hours and is built for productivity, and is available today starting at $299. Lenovo announced the new ThinkPad 11e Chromebook series, available as a 360-degree touchscreen Yoga or traditional laptop this spring starting at $349. Educators at FETC will see demos of all the latest Chromebooks in the Google booth, including the new Dell Chromebook and LG Chromebase (available in April). New tablets: Samsung announced their Galaxy Tab as part of tablets with Google Play for Education. It’s a 10.1-inch tablet designed exclusively for education, available in April 2014. At FETC, we’re also demoing the previously announced HP Slate 8 Pro tablet for the first time. Teachers around the world are using Google tools in the classroom, and we aim to help educators learn from and share ideas with their peers. This week we launched the new Google for Education Learning Center, created in close partnership with educators who successfully use Google Apps and devices in schools. On this new site educators can learn about Google tools and how to use them for teaching and learning. It’s a one-stop-shop for new online courses, best practice videos, guides, and updated exams and certifications. Educators can demonstrate proficiency with Google tools by taking a Basics Exam or they can show advanced knowledge by taking exams to earn the Google Educator official qualification. If you’re attending FETC this week, visit us at booth 701. Educators will share ideas in our teaching theater throughout the conference. If you can’t make it to Orlando, you can learn more about how to Go Google by visiting our site: google.com/edu/gogoogle. As a direct-to-client investment service, our website plays an absolutely critical role in attracting and retaining customers. While we’ve won a number of awards for the quality of our customer service and online trading platform, we realized our site's search functionality was in need of an upgrade. Clients use our site to search for and view information on funds and stocks to help them weigh their investment decisions. However, Google Analytics showed that between 35-45% of client searches on the site resulted in no matches at all, while 15% of searches came back with thousands of potential results, meaning the right ones were often buried. Search was one of the last tasks clients performed before leaving the site altogether, showing the frustrations they experience in being unable to find what they were looking for. To tackle these problems in-house would have proved costly and time-consuming, so we looked at a number of hosted providers. When our Google partner Extended Content Solutions Limited demoed the Google Search Appliance (GSA) using our own data, we saw instantly how it would benefit us. Features like Intelligent Re-Direct enable customers searching, for example, for a subsidiary company to be re-directed immediately to the name of its parent company, which is what you’d actually trade shares in. The Spell Suggestions feature makes searching much faster. The GSA’s Query Expansion feature also provides clients with additional relevant results when they search for certain products or funds, meaning that they are presented with more investment options. Best of all, the GSA was so easy to integrate with our existing systems that we were up and running within a month. Since deploying the GSA, feedback from our customers has been fantastic. Now, only 5% of searches result in zero matches or an unmanageable number of results, compared with 65% beforehand. We have a 99% click through rate, showing us that users are finding the fund or stock they’re looking for on their first search, whereas previously only 20% of searches actually generated a click-through to view that share or fund. Calls to our contact centre relating to finding information on stocks and funds on the site almost disappeared overnight. The next step for us is adding the ability for customers to search for our videos, which give up-to-date and insightful information on market trends. It’s exciting to think though that we’ve probably only scratched the surface of all the potential the GSA has to offer and how we can use it. In the months since we’ve deployed the GSA we’ve improved customer retention and acquisition and increased the conversion rates of website traffic to client registrations. As the site goes from strength-to-strength it has paid for itself a number of times over. It is no exaggeration to say that the GSA has completely transformed the role the website plays within our business. Editor's note: Today our guest blogger is Gregory Urban from the State of Maryland. Greg is the Deputy CIO and CTO of the State of Maryland. See what other organizations that have gone Google have to say. According to the State New Economy Index, the State of Maryland ranks third out of the top five states that are at the forefront of the nation's movement toward a global, innovation-based new economy. So it’s no surprise Maryland is a leader in adopting innovative technologies to improve citizen services. But with 54,000 state employees scattered across 60 independent agencies, most with their own IT department, the Maryland state government faces challenges in creating a unified technology infrastructure. To streamline IT infrastructure and improve collaboration between agencies, the Department of Information Technology is rolling out Google Apps for Government for all 54,000 employees. Previously, each agency ran its own email servers — from Microsoft Exchange and Novell, to in-house platforms. We knew to move these disparate email systems into the cloud would decrease complexity and improve intra-agency collaboration, but any cloud-based solution we selected had to meet high security standards. With Google Apps for Government, all state government data and emails remain in a secure cloud that is compliant with FISMA standards. With over 50 different CIOs working in different agencies, Google Apps allows Maryland to manage security from one central point. Instead of each agency buying and running its own security systems, now Google lets us secure data on a global, enterprise-wide scale. From a central IT point of view, Google Apps lets us execute mobile device management and data leak prevention across all agencies, as well as track every email and document. Previously, each individual IT department had to install appliances to manage these issues on their own. 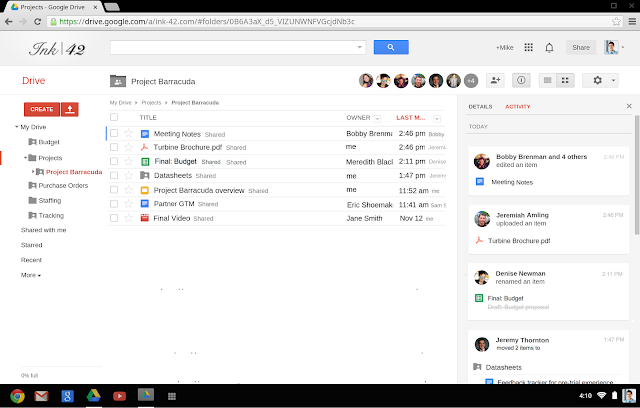 On a practical level, Google Apps has helped agencies improve productivity and collaboration. The State Police quickly adopted Gmail for all 2,000 employees, 1,400 of which are sworn officers. They have also been a frontrunner in using Drive to streamline daily workflow, across laptops, tablets and mobile devices. They use Docs, Forms and Spreadsheets to regularly report incidents, arrests and investigations. A sergeant's weekly reporting job that used to take 6-7 hours now takes less than an hour, freeing up officers to focus on more mission critical tasks. What’s more, much of the innovation has come from the ground-up. Because Google Apps provides rich functionalities and is easy-to-use, troopers without any IT background have been able to create internal apps to make their jobs easier. One employee built a system in Spreadsheets to manage the schedule of the troopers across all shifts 24x7x365, making it easy to track hours worked, leave hours, and that schedules adhere to agency policy. Previously, this was done using printouts and pencils, creating lots of complications across 1,400 troopers in 22 barracks throughout the state. 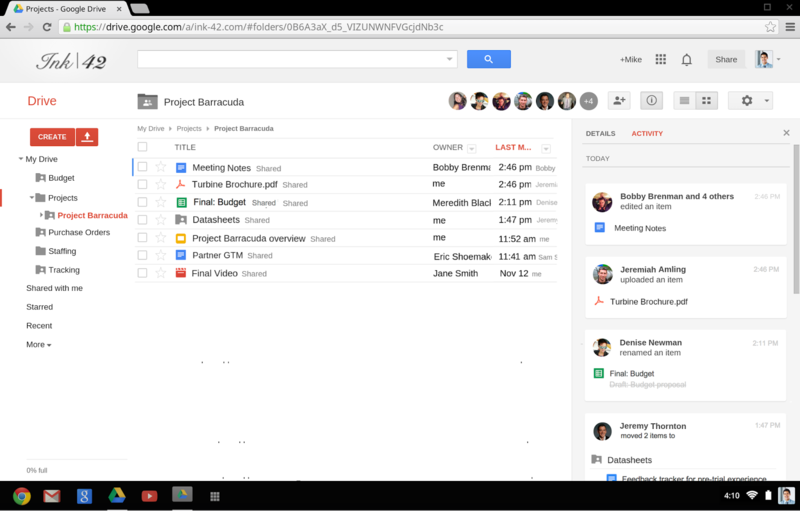 Google Apps has also created a new sense of cohesiveness among the entire workforce. Employees used to have email addresses unique to their agencies, creating an identity that emphasizes their agency relationship. But with Gmail, we provide every employee with a maryland.gov email. State employees now have a stronger sense they are a part of One Maryland, a team representing the state government serving Maryland’s 5.9 million residents. We’re impressed at how effectively Google Apps has brought disparate agencies closer together, making us into a stronger team. Editor's note: Today’s guest blogger is Phil Young, Head of Online for Transport for London, one of the world’s biggest and most integrated metropolitan public transport systems. See what other organizations that have Gone Google have to say. Each weekday, more than six million journeys are made on buses in London and over three million on ‘the Tube,’ as our 150-year-old underground system is affectionately called. Transport for London (TfL) oversees those transit systems -- as well as the trams, taxis, riverboats, the Barclays Cycle Hire scheme and the main roads throughout London. We are responsible for keeping London moving and growing and making life in the city better. As part of a ground-up redevelopment of our increasingly popular website we are putting interactive mapping at the centre of our travel information to make it easier for travellers to see their options and get around faster than ever before. 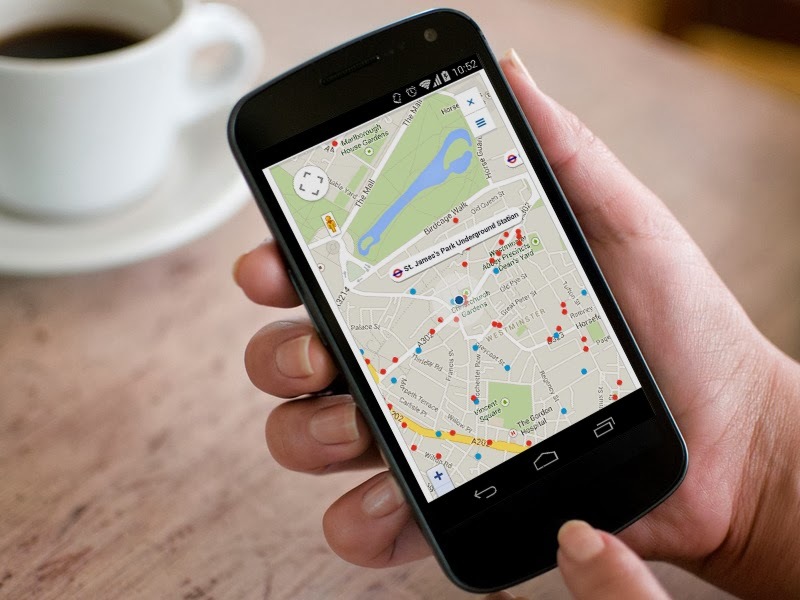 To do this, we’re introducing Google Maps for Business and Google Places API as part of our site to give customers one consistent, easy to use way of navigating around. Our web services grew organically over time, resulting in over 70 different websites for the numerous services we offer. In 2007, we made a big step forward, visually integrating these sites with a common look and feel. Our website now receives over 250 million visits annually and the International Association of Public Transport named us the best public transport authority website in the world. But, there's still so much more we knew we could do to help our customers get from point A to point B and better integrate all of our work into one single site, with a load of new functionality. Adding a ‘Nearby’ feature, which shows real-time information on all the transport services that are around your current location. This includes arrival times of the next bus or train and even how many Barclays Cycle Hire bikes are available at any given docking station at that time. We’ve built all of this around a single API which we’ll soon be sharing with developers as part of our open data portal. 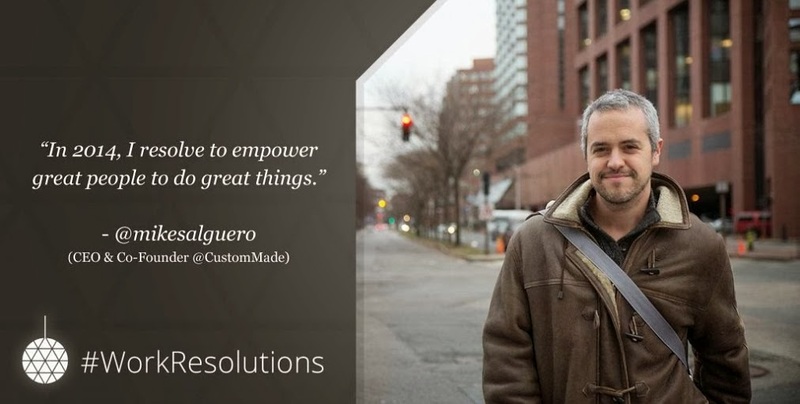 This will make it so much easier for new and improved smartphone apps to be created. In 2014, we’ll move the site out of beta and begin to develop more personalised features, based on a single user login, to make planning journeys, checking on status or buying and managing tickets so much easier. Editor's note: Today’s guest blogger is Bill Oates, Chief Information Officer of the City of Boston. See what other organizations that have gone Google have to say. In November, the City of Boston was named the #1 Digital City in America by the Center for Digital Government. While this recognition is based on a variety of measures, a key element is the city’s efforts to engage and connect with constituents using mobile technology and social media. As a tech-savvy city, we’re always looking for the best IT tools to help our government run smarter, innovate more effectively and provide better services for our citizens. Our most recent innovation was the successful migration of 76,000 email accounts from a collection of our premise based systems, mostly Microsoft Exchange, to Google Apps. Not only are all city departments, including the Boston Police Department, now on Google Apps, but every teacher and more than 50,000 public school students each has an individual Google Apps account. Our new unified, cloud-based communication system is pretty big change from our old set-up. Our agencies worked together to manage their mail environments, with resources focused on mail administration and working across the group structures. Our largest department, the public school district, operated on a very separate environment that was in need of a major technical upgrade. Going Google on such a large scale has many benefits. We gained reliability and security compared to our prior configuration of Microsoft Exchange servers, which required extensive upkeep, upgrades and patches. The Boston Police department, for example, now has a reliable, scalable system that supports its 24/7 operation with Gmail’s 99.9% uptime guarantee. More than 3,000 police employees, including 2,100 sworn officers, use Google Apps to communicate with one another as well as to streamline reporting processes. All in all, we’ve securely moved more than twenty million email messages to the cloud. Every city employee — from police, to education, public works, transportation and beyond — has a Google account and a boston.gov email address accessible from any device, anywhere. We are confident Google’s secure, FISMA-compliant cloud environment ensures that city data is safe and private. The Google Apps platform now sits at the center of our drive to infuse innovation in every aspect of city government and enhance collaboration. After 20 years in office, Mayor Thomas Menino is departing – making way for incoming Mayor Marty Walsh, and we’re proud to hand the new administration the country’s most advanced, fully-functioning, cloud-based communications system to keep our city at the forefront of technology innovation.